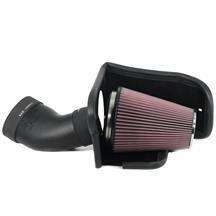 Adding a cold air intake kit or new high flow air filter to your SVT Lightning is a great way to improve horsepower, torque and performance. 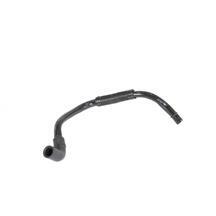 Choose from top brands such as JLT, Airaid, BBK, and K&N for that perfect look under the hood of your truck. 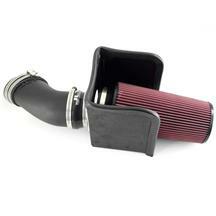 Don't want to get a new intake, but still want to add a little performance? 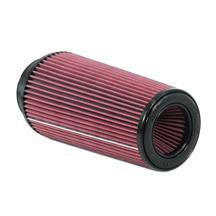 Pick up a drop in performance air filter from K&N and get your stock intake putting out a few extra horsepower! JLT Replacement Air Filter - 5 x 12"
Replacing your SVT Lightning pickup's stock air box with a cold air induction system removes one of the biggest restrictions on your Lightning's engine. Cold air is denser and heavier than warm air, which means that there is more oxygen in a cold cubic foot of air delivering a higher volume of air into the engine.